Among a lot of other reason, people trade forex because it Is an easy way (financially) to start investing.You do not need big lumpsum amount to start forex trading. The reason for this is that the broker will provide you with leverage on your own capital to do a forex trade. Leverage is the multiple of your stakes that you can borrow. It depends on your broker, but the leverage can be up to 100 : 1. In return for the leverage provided, the broker ask a spread. The spread is the difference between the bid or asking price and buy or sell rate. The cost of trading will this be incorporated in each and every forex trade you do. Be warned! Even though the broker does provide you with leverage, you can still run out of total equity when a trade goes against you. The broker will do a margin call to clear up all your funds if you did not stop it yourself. It is important to always use a stop loss when your trade forex to make sure a margin call is not necessary. I would suggest you keep your risk to total equity to a maximum of 2%, but preferably 1% risk at all times. Once a certain forex trade starting to deliver a profit, you can adjust the stop loss slowly but surely up to the point that you will be able to make a profit when the market changes. Once you have your risk percentage under control, you can start adding a new forex trade. To spread your risk even better, than the 1 percent explained above, you can focus on various markets. 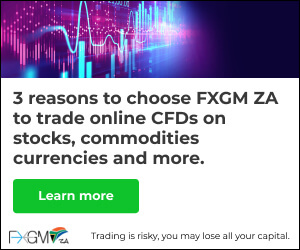 Note: 24Option offers a variety of trading options that include forex, commodities and stocks and offers a wide range of choices to choose from.